The Police Criminal Investigations Department has launched an investigation into the death of a 26-year-old man who was allegedly assaulted by police officers in September this year. 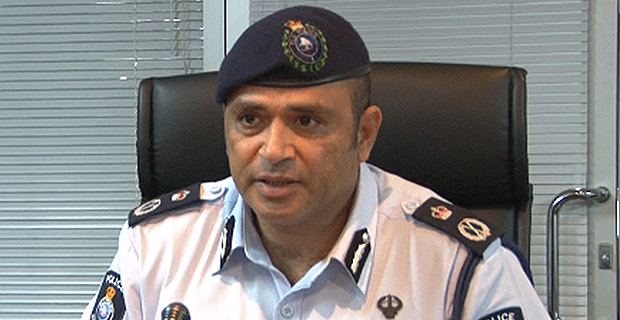 Commissioner of Police Sitiveni Qiliho has directed that the investigation be expedited. Qiliho says following the initial report of alleged assault in September, a directive was issued for a team from the Internal Affairs Unit to investigate the allegations. The Police Commissioner says he has now directed the case be taken over by the Director CID and his team. Police say the number of officers allegedly involved is still subject to investigations. He says the victim was allegedly assaulted while police were attending to a report of a disturbance outside a nightclub in Suva on the 2nd of September. Qiliho says due to injuries sustained he was taken to the CWM Hospital and was admitted up until he passed away yesterday. The Police Commissioner has also extended his heartfelt condolences to the victim’s family and has given his personal assurances that a thorough investigation will be conducted regarding the circumstances surrounding his death. Qiliho maintains that the Fiji Police Force has no place for officers who abuse their authority and will not hesitate to remove anyone found to be doing so.